Business enterprise, defense, government or private sector customers requiring quality and robust TMT bars can rely on MPTPL Group for being a leading and reputed TMT rod manufacturers in Chennai. We too, stock and supply high end TMT bars manufactured by other prominent companies, being the TMT rod dealers in Chennai. 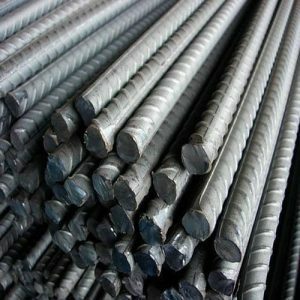 All the TMT rods or bars manufactured and supplied by us are of high quality as per the requisite standards suitable for heavy duty civil constructions. We are a trusted business house of Tamil Nadu having a large number of satisfied customers. Over the long years of our business dealings, we have served all levels of customers from the defense, government, business enterprise and private sectors. Our TMT bars are guaranteed for performance a outlined and conform to the standard specifications of the industry. Our TMT bar products are comparatively priced, considered for being best. Our customers can place bulk or phase supply orders with us that dispatched as per the instructions following the predetermined and set time schedule. Customers in Tamil Nadu can contact us at our Chennai MPTPL group facility to know more about the portfolio of available TMT products, sourced from different manufactures of India or manufactured by us at our own manufacturing plant. We have a wide range of TMT rods or bars on ready stock that are in high demand and can procure or make the necessary types of TMT products needed by our customers. We are well accepted TMT rod dealers in Chennai having the necessary expertise to serve the customers professionally. Having our own manufacturing facility for the making of TMT products, we are way ahead in understanding the need of our customers. If you are in search for a competent TMT rod manufacturer in Chennai, than we are ever ready to accommodate you as per your product requirements.